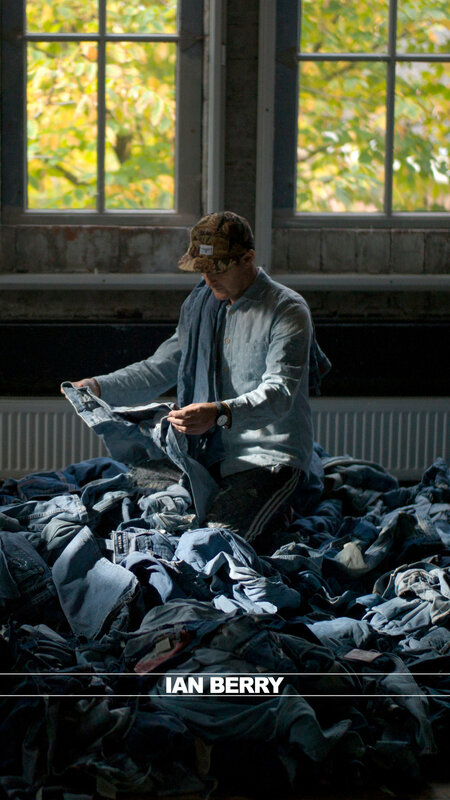 Over the many years Ian has been working with denim he has received thousands of donations of jeans. If you would like to contribute to his denim collection please contact mail@ianberry.art and we’ll send you something in return. Below is a list of some of the people that have donated, the list is new and we hadn’t been keeping records, so if you don’t see your name there and would like it included contact on the above address.